With clean water increasingly hard to come by, the fight for fresh water threatens to plunge Southeast Asia into chaos. Despite its precipitous rainfall, Southeast Asia is far from immune from the water conflicts that many believe will become the hallmark of 21st century geopolitics. Since the Second World War, none of the earth’s precious resources have been so aggressively coveted as the oil found deep beneath the earth’s surface. Wars have been waged, lives have been lost and billions of dollars poured into hoarding and protecting it. Although you can’t drink it, oil has become the bedrock of our society – powering the machines of the modern, motorised world. But another liquid – water – remains essential to humanity’s very existence. And it is water that will shape the global conflicts of the 21st century. In the last half a century, global demand for water has nearly tripled. Thailand alone uses about 53 billion cubic metres of it every year, which is expected to rise by nearly 30% within the next decade. In a region seemingly flush with fresh water, fears of scarcity may seem absurd. Nevertheless, the prospect of a shortage is already rearing its head in Southeast Asia because of the uneven distribution and poor quality of H2O. Those local needs also include effectively fighting pollution. A 2007 Greenpeace study on water in the Philippines and Thailand revealed that drinking water from one-third of all groundwater wells in both countries contained nitrate levels above the World Health Organisation’s safety limit. Nitrates are known to cause serious health problems, especially in children, including cancer-related ailments. Only about one-fifth of Thailand’s freshwater is potable, with the remainder decimated by pollution, according to Ply Pirom, a toxics campaigner for Greenpeace Southeast Asia. Pollution comes chiefly from chemicals used in agriculture, urban waste and discharges from the plethora of uncontrolled industrial plants. Last year a second Greenpeace report warned that if left unchecked, pollution will put 93% of the total water area in Thailand at risk. About 7% is already classified as “high risk” with the potential to harm 4.4m people. He also takes the western world to task for what he sees as a double standard in terms of pollution. Foreign factories are being moved to Thailand, but they are not necessarily observing the same stringent environmental controls they do in their own countries. Southeast Asia’s much-vaunted freshwater resources – the lakes and rivers from Cambodia’s Tonle Sap to the Mekong River that crosses six of its countries – lend the region much of its shine. Yet these jewels are fast becoming a twinkle in neighbouring countries’ eyes. Many rivers have been drained dry by dams and diversions to meet the surging demand for hydroelectric generators. As an energy source, hydroelectric power is more environmentally sound than coal, Southeast Asia’s main source of energy, because it doesn’t produce large amounts of greenhouse gases. The flipside is that Chinese dams built on its upper reaches are dramatically reducing the flow of the Mekong. A super dam project in Yunnan, for instance, continues to be a bone of contention between China and Vietnam. Representatives of the 168m people living downstream of China in Myanmar, Cambodia, Laos, Thailand and Vietnam have complained about the negative effects of damming the Mekong, but little is actually being done to curb China’s thirst for water. Meanwhile, Laos and Cambodia are building their own dams along the Lower Mekong, using the water to shore up their respective hydropower industries. 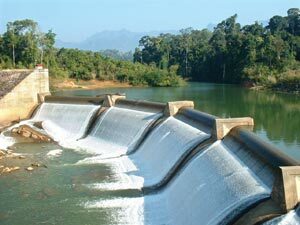 In Thailand, the bulk of dam-building operations is controlled by the Electric Generating Authority of Thailand (Egat). The quasi-governmental agency is the largest financier and customer for countless dams being built on the Mekong’s major tributaries in Laos. 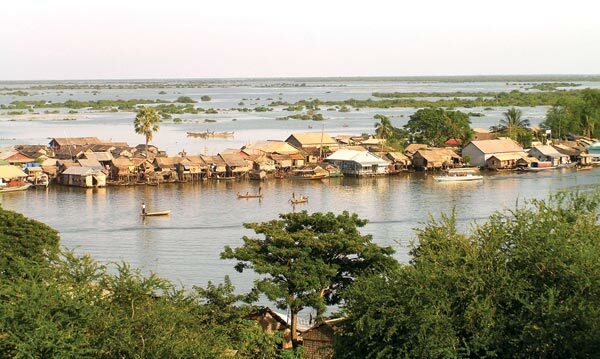 By damming the Mekong, countries inadvertently threaten the very water they seek to divert. Experts claim dams alter the timing and flow of the river’s natural hydrology and hold back flood-borne silt. Most importantly, water that traditionally flowed to communities most in need do not now reach them. In addition, the once-thriving Mekong Delta is rapidly becoming part of the South China Sea. Along the way, scores of freshwater marine species are disappearing, along with the fishermen who earned a living from them. Likewise, rice does not flourish in saltwater, which destroys whole crops. In Vietnam, about 40% of the county’s rice is produced in the delta, where 17m people live and work. While agriculture is a primary source of income for the majority in Southeast Asia, it is also water intensive. With food production tied to water, declining access and availability will threaten already deprived people. Corruption is also prevalent, as poorly paid public administrators sell off water rights to corporations to fund their political campaigns. “These are democracies we are dealing with here, but they are very fragile democracies,” Crawford explains. “Politicians are often tied to private interests. You see it in Cambodia a lot where with very weak contracts, Chinese state-legislated enterprises are coming in and buying up major amounts of land to produce food, bringing in Chinese workers and exporting the food back to China. After decades of conflict, Southeast Asia could become the stage for a new kind of warfare as countries race to grab those last reserves of life-giving H2O.